Anyone who knows me, knows I love Dr Who. This mornings season finale was awesome (as ever) and I’m looking forward to the Christmas special. 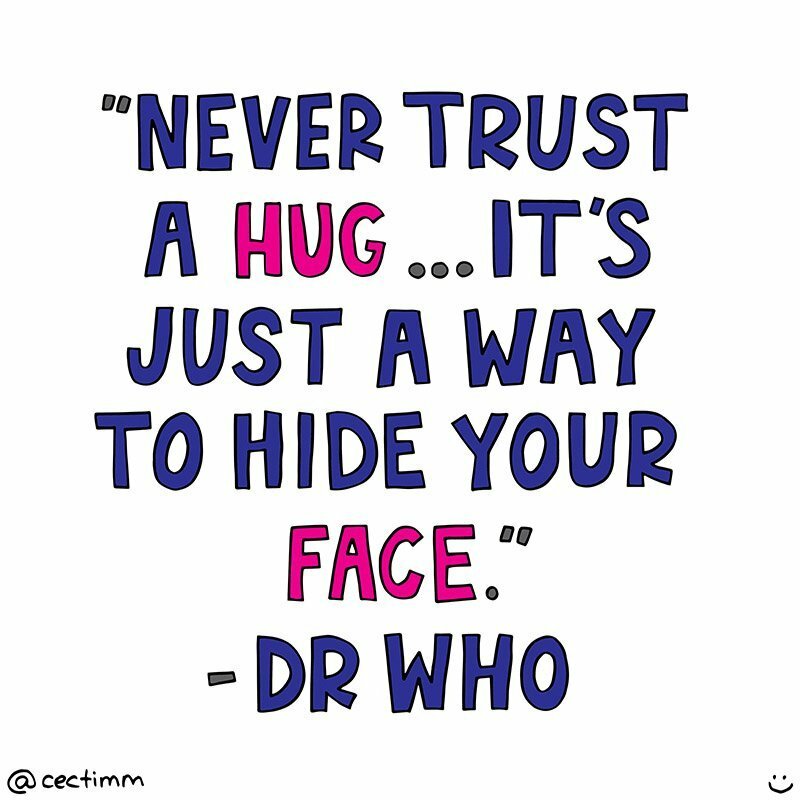 I can’t say I share Dr Who’s views on hugging but I can see his point. I guess it is a good way to hide the emotions on your face that you don’t want seen. Food for thought Dr Who.